Most people think of Sicily as being the island off the boot of Italy but after My Vacation Lady met with over a dozen suppliers from Sicily, we have realized that it is so much more. Sicily is a place of many distinctions … when referring to the many aspects of Italy’s largest and most southerly island—its wines, climate and geography, its people and more. Yet these diverse strands weave an alluring tapestry, and help make Sicily one of Italy’s most distinctive and exciting wine regions today. What makes Sicily such a great honeymoon destination? Sicily is a great combination of beaches, adventures, culinary and wine experiences, history, culture and more. It is blessed with wonderful weather year round, fantastic food and warm, friendly people. 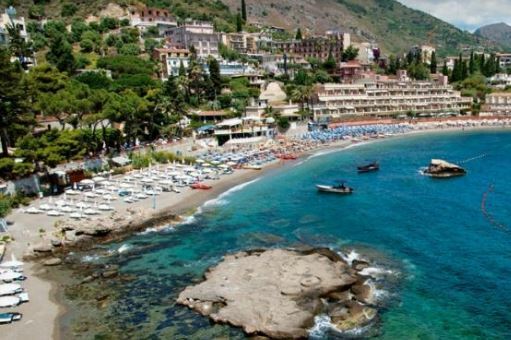 It has to everything to offer from the beautiful resort town of Taormina to Mt Etna, Greek temples, beaches and watersports, outdoor activities, wineries, cooking classes, markets and so much more. The weather is mild year round, although August is hot in Sicily. For general sightseeing, September- November and March -June are great months with average temperatures in the 50’s – high 60’s. For beach, sun and more beach, the end of May-September will be the best weather for soaking up the rays and enjoying the Mediterranean Sea. July and August will be the hottest and the priciest time to travel, since many Europeans will vacation in Sicily. For skiing– yes, you read it right, SKIING- you can ski on Mount Etna in January and early February. For divers– June and September are the best months for scuba diving off Sicily. For golfers- April-June and September-November would be the best months to play golf on one of the 5 courses in Sicily. For foodies– there are sagre (open air food festivals which can take over an entire town)- almost all year round in Sicily. September and October are particularly busy with food festivals, including the sherbeth (frozen drink) festival at Cefalu, the CousCous Festival at San Vito Lo Capo in September and the pistachio festival at Bronte in October. Palermo is the top city for street food and food markets! For wine lovers– anytime is great for wine lovers. Did you know that Sicily produces 30% of Italy’s wines (and we bet you thought that all of the Italian wine came from Tuscany). Sicily’s harvest time varies according to altitude. It can start in mid-August in those vineyards located along the coastline and extend to late October for the vineyards located in mountains. The end of September is a great time to enjoy the most famous Sicilian wine festival in the tiny village of Milo, located on Mt Etna. 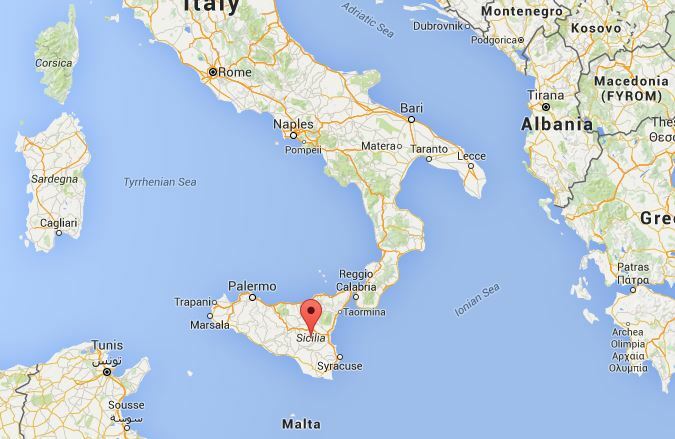 What is the perfect length to stay in Sicily? According to Theresa Doyle of Andiamo, 6 to 8 nights is a good number of nights to stay in Sicily and she recommends “Must see cities are Palermo and Taormina and one of my favorites Syracuse.” Sicily could also be combined with a stay in Italy (Rome or the Amalfi Coast) or Malta (which is a 2 hour catamaran ride from Pozzallo to Valletta) or with the Aeolian Islands which can be a day trip or a multi night stay. What type of unique resorts or accommodations makes your destination so great for honeymooners? According to Ms. Doyle, Taormina has many 4 and 5 star hotels with water views. 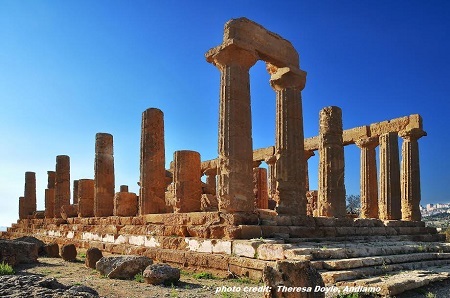 In Agrigento, you can stay at a hotel with a view of the Greek Doric Temples. What are some must see/must do/must experience for honeymooners? Whether you are looking for outdoor activities, culinary or wine experiences or historical and culture experiences, Sicily covers it all. Mt Etna: Try a 4×4 Jeep ride with lunch at a local farmhouse or ATV/quad tour or explore Mt Etna on foot, on a donkey trek, by mountain bike or from a helicopter. You can ski along Etna’s northern slopes in the winter. You can take a wine train to explore the area’s wineries without having to drive. Alcantara Gorges: is a natural wonder just 30 or so miles west of Taormina. Gole dell’Alcantra or the Alcantara Gorges is part of the Alcantara River Park. The deepest ravine is more than 200 feet down and most of it is visible above the river’s water level. 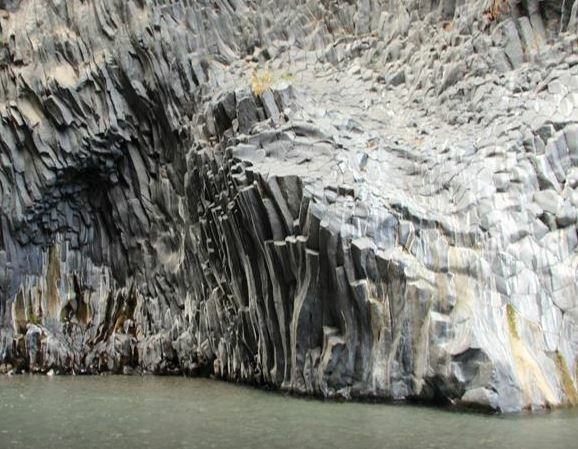 You can hike along and down into the canyons (river trekking) or go body rafting along the icy cold water. from May- September. Syracuse: A visit the renowned Archaeological Park is Syracuse’s top attraction and is home to the 5th century BC Teatro Greco. The theatre is still used for an annual Greek theatre festival from mid May to the end of June. Wander around and explore Ortigia Island by just crossing the bridge from the mainland. It’s packed with over 2,500 years of history and architectural styles from Greek and Roman remains, Mediaeval Norman buildings, even some understated Baroque. There are a good number of trattorias and bars and it’s especially nice to sit out on the western side in the late afternoon, overlooking the lagoon. Agrigento: A visit to the Valley of the Temples is a must see. It’s a huge archaelogical site with both Roman and Greek ruins. It’s truly an ancient wonder to see. Palermo: The Sicilian capital is also the best place for street food! The 3 main markets are Vucciria, Ballaro and Capo and are within walking distance from each other, in the heart of of the city. You can visit the Capuchin Catacombs (a somewhat macabre attraction for history lovers and horror enthusiasts), visit the Palermo Cathedral or the Monreale Cathedral, Teatro Massimo (where they filmed the final scenes from the Godfather) or enjoy some of the wonderful beaches. Taormina: This world renowned Mediterranean resort town is a short drive from Mt Etna and all of the outdoor adventures in the Mt Etna area but there is much more to Taormina than just using it as a jumping off point to Mt Etna. Take a boat tour of the coastline of Taormina and Isola Bella or take a sunset sailing excursions (perhaps for just the 2 of you). You can find some great cooking classes and food and wine walking tours in Taormina. Or learn to scuba dive or take a snorkeling tour to Isola Bella from Taormina. Beaches: With over 600 miles of coastline, Sicily has lots and lots of beaches. Some of the most unspoiled shoreline in Sicily is on the Southeastern coast between Siracuse and Pachino. The water is bluer and the sand softer and whiter than some of the beaches in the Taormina area. Isola delle Correnti is a hidden gem and great for nature lovers and those who are seeking relaxation. Isola Bella is a favorite beach of many. Just down the road from Taormina, it’s very popular with tourists but bring water shoes because you won’t find sugary white sand here- it’s all rocks. Spiaggia di Mondello is a beach cove just west of Palermo. It’s popular with the locals and a fun place to hang out. What should a honeymoon couple know before they should pick Sicily as their honeymoon destination? Sicily isn’t like mainland Italy. It has strong influences of Greek and Arab ancestry. Sicily can rival Greece for ancient Greek architecture. Marsala wine comes from Marsala, Sicily. Food has both Arab and Greek influences so food is very different than on the mainland. Taormina is Sicily’s most popular summer destination. It’s a chic resort town beloved of holidaying high-rollers and visiting celebrities and is spectacularly perched on the side of a mountain. Because the soil at Mt Etna is so rich, it produces some of the best red wines in the world. Many are featured in Wine Spectator. There is no rail in Sicily so we do recommend private drivers to get from one side of the island to the other. If you are looking for something a bit different in Europe, Sicily may be your ideal honeymoon destination. During your honeymoon consultation, My Vacation Lady will be able to envision your honeymoon dreams and we’ll be able to help you decide if Sicily should be on your honeymoon wish list. My Vacation Lady is the top rated honeymoon specialist located in New Jersey according to the couples on Wedding Wire and the Knot.